SAN DIEGO — Point Loma Seafoods, a staple at America’s Cup Harbor since 1963, has just put the finishing touches on its $2.7 million renovation. San Diego City Council president Pro Tem Kevin Faulconer and Board of Port Commissioners members Smith, Scott Peters and Bob Nelson celebrated the restaurant’s makeover and grand reopening April 5, and dedicated its public art component. The Christianson family, who have owned and operated Point Loma Seafoods since 1963, also participated in the grand reopening celebration. “The Christianson family have been long-standing and exemplary tenants of the port, and we are grateful for their commitment to the waterfront,” Smith said. The famous seafood restaurant and fish processing facility was never closed, as its 50 employees continued to serve dishes in a temporary satellite location next door. The goal of the renovation project was to keep the “old market” feel of the original building, while updating it to include modern technology. The new restaurant features more than 50 feet of state-of-the-art showcases for its fresh fish and other items. Fish is still smoked on site, and made-to-order sushi is now available. The project began in June 2011, and included demolishing the former 7,904-square-foot restaurant and seafood market and replacing it with a new two-story 11,306-square-foot building. The new building is designed in the style of Monterey’s Cannery Row buildings. It includes an indoor and outdoor dining area, viewing areas and new landscaping, with water-saving drought-resistant plants and materials. An outdoor dining patio was added to the new second floor. The project’s art component is part of the port’s Percent for Art Program — a program that ensures the inclusion of art in tenant improvement projects. 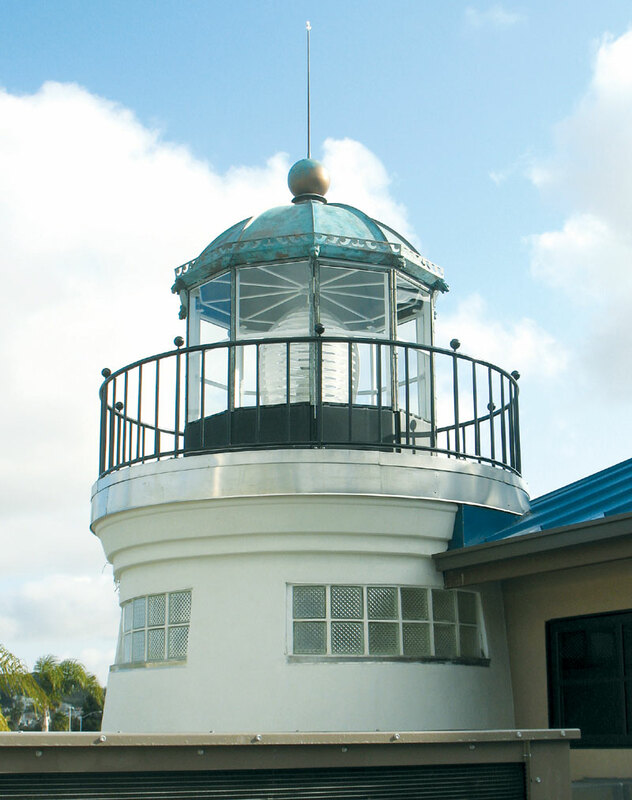 The building features a lighthouse tower, on which artist Jon Koehler depicted the Old Point Loma Lighthouse. The lighthouse is of historical significance to the region’s fishing industry, as it served as a guidance system for vessels returning to San Diego Harbor. A new promenade design improves the connection from the restaurant to the water for visitors, and it complements the new sportfishing redevelopment projects in America’s Cup Harbor.